Going to school sick is sometimes easier than writing sub plans. You know it's true. But as the colder weather approaches, I've had to miss my fair share of class. And don't get me started on keeping up with all the work my students have missed when they are home sick! Talk about a headache. Here are a few ideas for managing missing school - whether it's you or your students who are out. I hate to write sub plans. FOR. REAL. Don't you? This year I came up with a way to streamline my sub plans. The first page of my plans are literally a schedule of times with some added information about taking attendance and dismissal procedures. The second page has a spot for me to type directions for what the students will be doing during each class. I admit that I'm kind of lucky in this aspect since I teach four sections of the same class. So my lessons are all the same and the sub just has to repeat it four times. Other procedures that stay the same all year along with a copy of the school discipline plan are kept in a binder that I can easily grab and leave for my sub to refer to as needed. If I know I'm going to miss school I try to schedule a test or review activity for that day. It's a lot harder for a sub to follow complicated science exploration activities (and it's harder to type directions for those too) than to pass out a test or review sheet and have students complete it. For times when my kids get sick or I seriously cannot make it through the day, I have some "tried and true" activities. I prefer to assign a reading for students that is either directly or indirectly related to topics we have been studying in class. 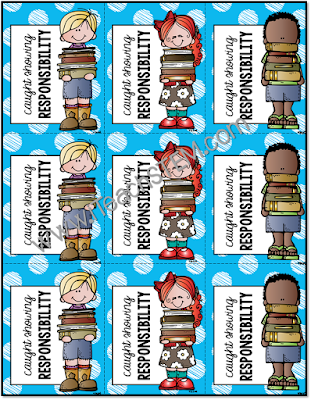 I have these copied and in page protectors so they can be reused class after class and year after year. Saving time AND trees! I also use Post-it notes to label things for my sub so they feel prepared and can focus on the students. Some of the notes can be reused all year, so I save them. Such a little thing has really helped me. Just a few weeks ago I had to miss school and having 5-6 pre-made notes to stick to the supplies helped me set up for the sub faster and focus on getting well. I work with an amazing set of teachers. We have all had the unfortunate situation where we had to miss school for one reason or another and a sub DID NOT PICK UP the job. Talk about stress. 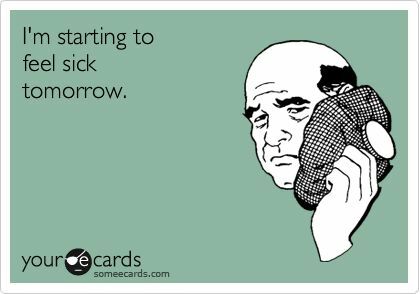 Already too sick to be at school and then to know there isn't a sub in the classroom with the students! Our fifth grade team rotates classes, so if a teacher is out and cannot get a sub we use their emergency split class list and divide the students between our classes. We also have an alternate schedule prepared since the students would only be rotating through three classes instead of four. We have had to use this plan twice already this year. It's a bit crowded, but we all agree that it's a good plan. We all have those students who drive us crazy and yet NEVER miss class. But there are also those that seem to be absent all of the time. This can be just as frustrating (and difficult to keep up with). 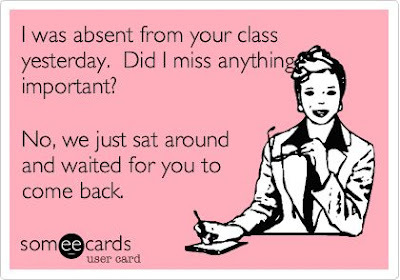 But keep this in mind - when a student misses class, they are still required to learn the content and make up the work. This can be difficult for a child - even my fifth graders get overwhelmed. I've developed a form to use when a student is absent so that I can keep up with the work they may have missed, pages in their journal they need to complete, and copies of assignments they will need. 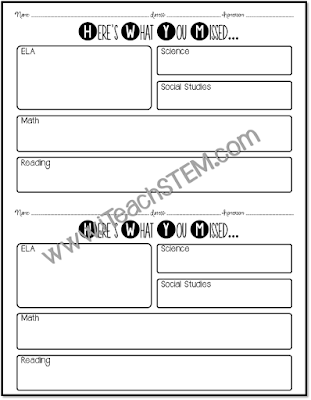 Additionally, since my students have four different classes, I can send this form with the class clipboard to each class and the other teachers can add to it. This is especially helpful when a parent wants to pick up any missing work. It's already recorded on the paper and collected from each teacher! Download an editable copy here. For things that I do not send home (tests, quizzes, journal notes, etc.) I have a folder for each class where I keep these papers. I write the student's name and the date on the paper and note it on the missing work sheet. That way I have the test but the students is responsible for coming to me to get the work. 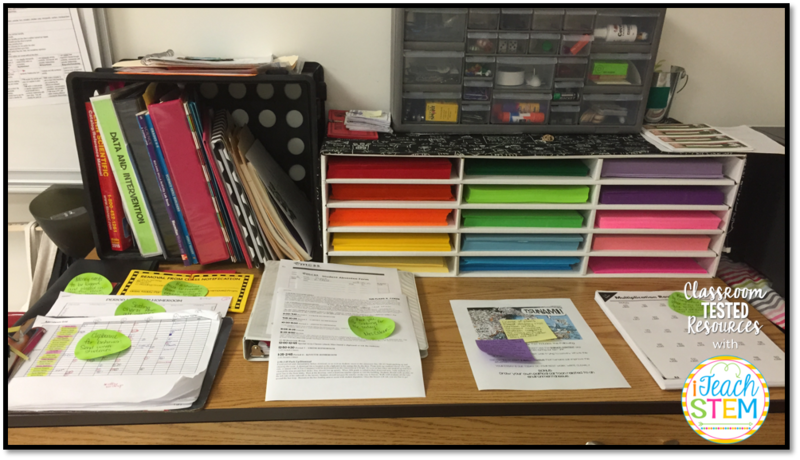 My students also know that they can choose to spend their recess in the "work room" copying notes from my journal to get caught up. I make a big deal out of how responsible they are being by making that choice. 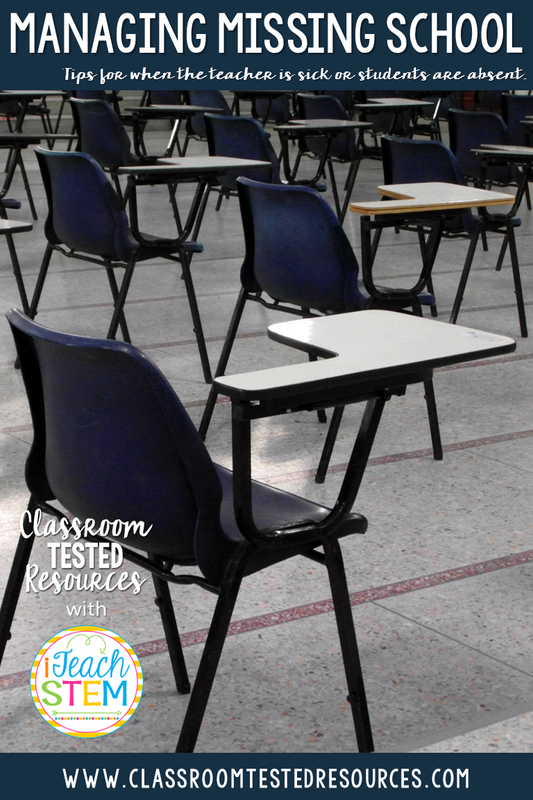 If you use brag tags in your classroom, grab this freebie below.